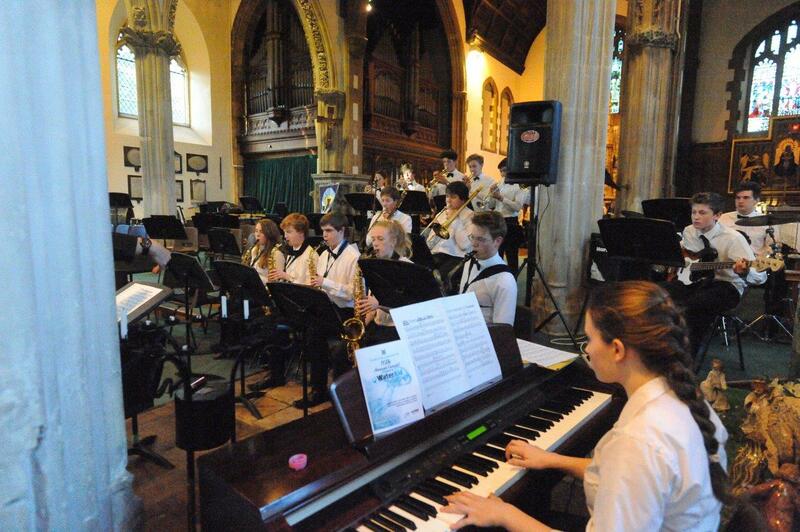 For the 17th year running and with support from South West Water and On Tap Water, the talented young musicians and singers from Exeter School will perform a special concert to raise funds for international charity WaterAid. All proceeds from the concert, which takes place at St Michael's Church, Heavitree, from 7:30pm on Wednesday 2 May, will go directly to WaterAid projects in Zambia, helping some of the country's poorest communities gain access to clean water and safe sanitation. Over 150 pupils ranging in age from 11 up to 18 are involved in making music for the event. The concert will feature school ensembles including Symphony Orchestra, Chamber Orchestra, Chamber Choir, Vocal Ensemble, Belles Canto, Barbershop Boys, Jazz Band 1, Senior Brass and the Saxophone Quartet and will feature movements from Mozart's 25th Symphony, Vaughan Williams' Tuba Concerto and Mendelssohn's Violin Concerto, choral pieces by Mozart, Howells and Joubert and chamber pieces by Bach, Cole Porter and Rodgers & Hart amongst others. The Symphony Orchestra will play the second movement of Ralph Vaughan Williams' Tuba Concerto (with a solo by Upper Sixth Former William Pearce), with its lush, parallel harmonies this work is typical of the English Pastoral School of which Vaughan-Williams was a leading proponent. It is unusual for a concerto to be written for the Tuba, but Vaughan William's skill as an orchestrator allows the instrument to sing. The orchestra will also perform the first movement of Mendelssohn's Violin Concerto (with a solo by Upper Sixth Former Oran Friar). In the words of Joseph Joachim (1831-1907): "The Germans have four violin concertos. The greatest, most uncompromising is Beethoven's. The one by Brahms vies with it in seriousness. The richest, the most seductive, was written by Max Bruch. But the most inward, the heart's jewel, is Mendelssohn's." The Chamber Orchestra will perform the first movement of Mozart's 25th symphony, with its startlingly syncopated opening widely used in the film 'Amadeus'. The Chamber Choir, a 40-strong senior ensemble, will perform a selection of shorter pieces including Mozart's "Ave Verum", Joubert's "O Lorde, the Maker of al Thing", and Herbert Howell's stunning "Like as the Hart Desireth the Waterbrooks". The lighter side of the evening will be provided by the 16-member Vocal Ensemble ("New York, New York" and "Deep River"), the Belles Canto ("All you have to do is dream" and "Blue Moon") and the Barbershop Boys ("Hello Mary-Lou (Goodbye Heart)" and "Sh-Boom"). If Jazz is more your thing then your needs will be provided for by Jazz Band 1 performing Porter's "I Love You" and Thad Jones' "Us". Cath Bauer from WaterAid, said: "We are so grateful that Exeter School is supporting WaterAid at their annual concert, and helping us shine a light on the urgent need to address the water crisis, which affects 844 million people globally. Clean water should not be a privilege; it is a basic human right. Together with good sanitation and hygiene, it underpins all areas of development, helping keep children healthy and in school, and enabling entire communities to unlock their potential and break free from poverty. "WaterAid believes in a world where everyone everywhere has access to clean water, decent toilets and improved hygiene. Thanks to the support the Headmaster, staff and students at Exeter School have given us over the last 17 years, we can make a far bigger impact, reaching even more people, and transforming lives for good." 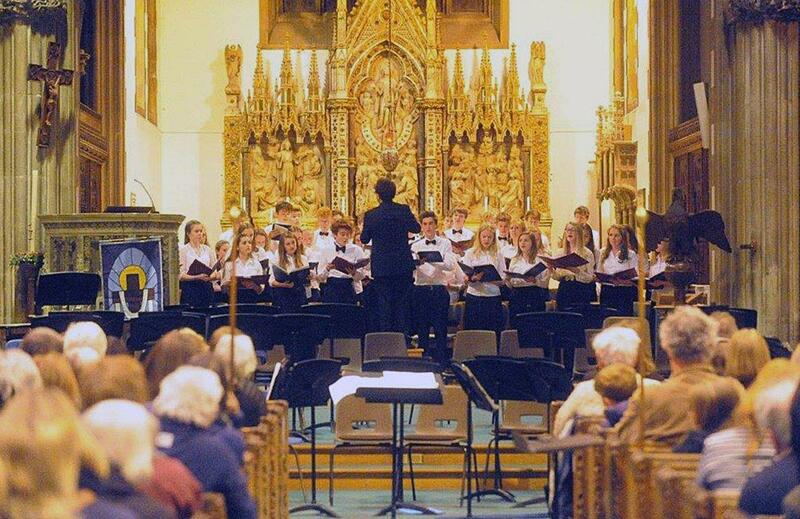 Peter Tamblyn, Exeter School's Director of Music, said the annual WaterAid concert provided a fitting end to seven months of rehearsal time for the school's larger ensembles. "It has a celebratory role too, in heralding both the start of summer and the examination season in school," he said. "Possibly of greatest long-term significance to me personally, however, is the knowledge that we do a little good for those in desperate conditions in the depths of countries like Zambia, which I still consider my second home. I spent four years working in the Copperbelt Region, and took the opportunity to travel as much as I could then. "I saw the daily struggles of decent, happy people who have, through no fault of their own, no access to running water in their village. It amazes me how simple it is to change people's lives with a borehole in the village, providing drinking water, sanitation, and irrigation in the long dry season. "None of us at the concert tonight have to worry about running water for ourselves today, this week, or this month, and through participating with WaterAid I hope that the children involved will be inspired to make a change for those without fresh water sometime in the future." Tickets are available at the door or online from Exeter School's Box Office at http://www.exeterschool.org.uk/box-office (tel: 01392-258712). Seats are priced at £10, with a concessionary price of £5 for children and students.